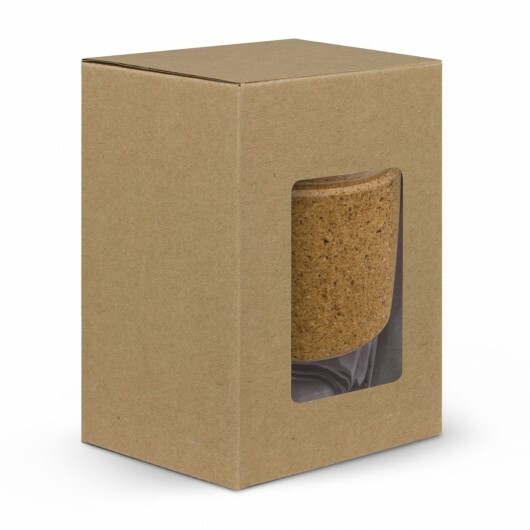 Now available with a cork band to enhance the look and stand out! 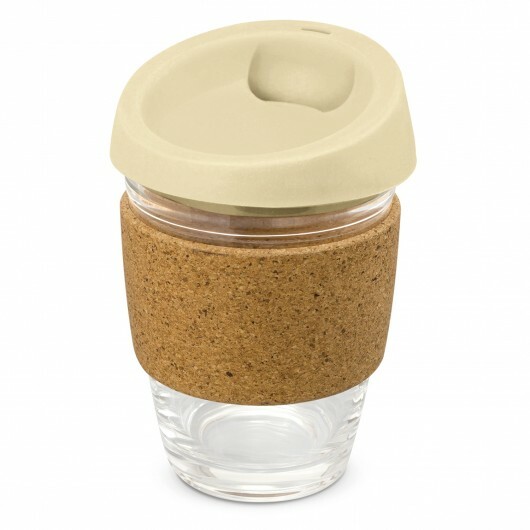 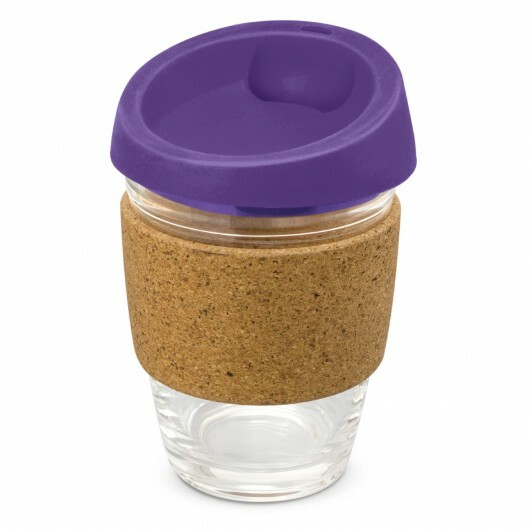 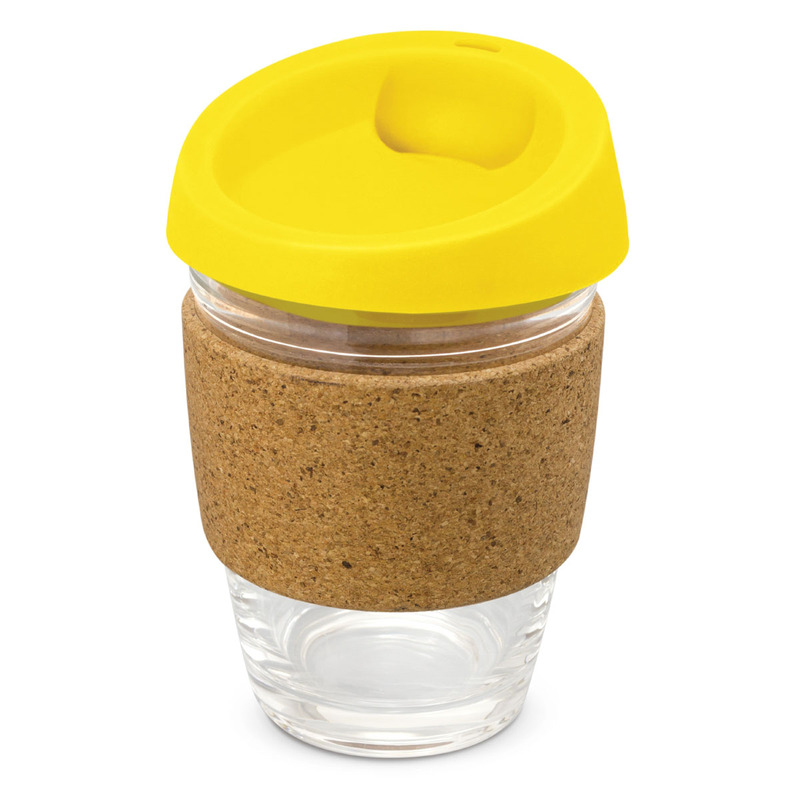 A glass eco cup that features a heat resistant cork band as well as your logo decoration! These cups are fashion inspired and are guaranteed to be a hit. 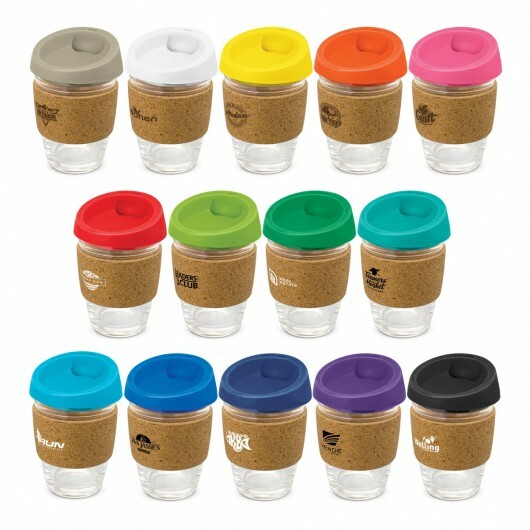 They have a 340mL capacity and a coloured secure push on silicone lid. Each cup comes presented in an unbleached cardboard gift box which has a window to show your branding with product care instructions printed on one side. Handwashing is recommended.